No child’s bedroom, nursery or play space is complete without some gorgeous furniture. Of course, not just any furniture will do for your little one. It needs to be the best. At Pip and Sox we believe children’s furniture should be both stylish and practical. We have curated an exceptional collection of pieces that are perfect for your little one and their favourite room from brands such as Ooh Noo and NoFred. 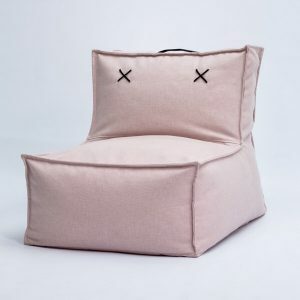 Featuring a stylish Scandinavian aesthetic, these pieces of furniture for children are truly beautiful while also being well-made, durable and comfortable. 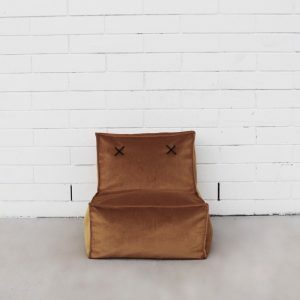 Take a look at our range of bean bags, rocking horses, swings, chairs, tables and more to find the perfect items of furniture for your child. Buy online with Australia-wide delivery. 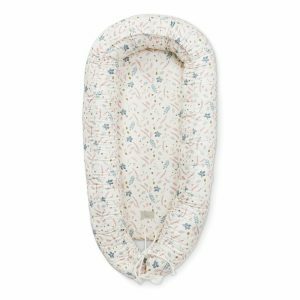 Cozy and soft baby nest made in organic cotton that gives your baby extra comfort - it is perfect in the transition from sleeping in the mother's womb to own crib. 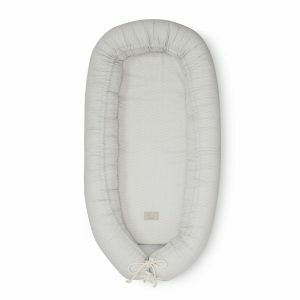 The baby nest has a soft foam mattress surrounded by a soft edge with a drawstring making the size adjustable, following the growth of your baby. 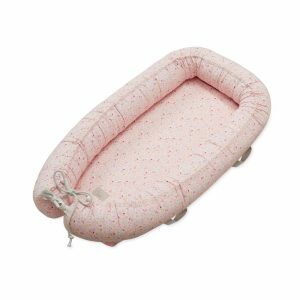 The baby nest can be used on the sofa, in the crib, on your double bed or when traveling - the four practical carry straps and the wooden piece at the bottom provide security and firmness, so it is easy to move your sleeping baby. Always place the child's head at the top of the nest, and the feet at the opening where the strings are tied. Adjust the size of the nest by pulling the strings, tie a bow with the remaining strings. Always place the nest on a flat surface. 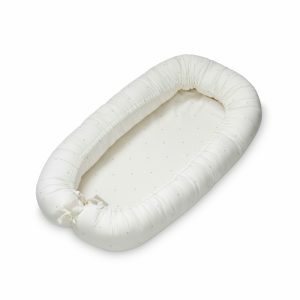 The baby nest is easy to wash - hidden YKK zippers make it easy to remove the cover and the filling in the edge. Remove the wooden board and mattress before washing. - Outer fabric: 100% Organic Cotton. - Mattress Filling 100% Polyurethane foam. 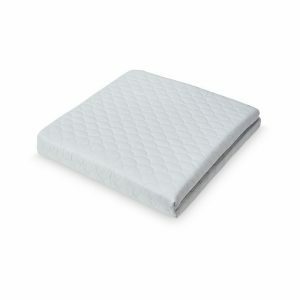 Elegant and practical foldable play mattress to use on the floor with beautiful wave-embroidery. The mattress is foldable midways, making it easy to store. The play mattress has 5cm foam inside to feel extra comfortable - perfect for playing, gaming, or reading aloud favourite stories. The cover can easily be zipped off and washed. 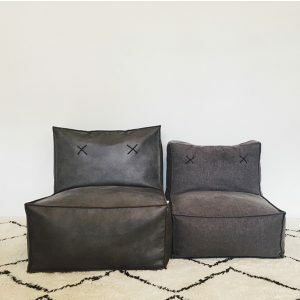 Designed and made in Australia the Ottoman is made from high quality fabrics and features our signature detailing including exposed edging and a handle suitable for big and little hands. Personalised leather handle available now. Have your child's name embossed on a high quality leather handle. Available in black. Please leave details in the comments section at check out. Please note that HomeDay products are a made to order. They are handmade with love and care in Australia and will be shipped within 2-3 weeks from order date. 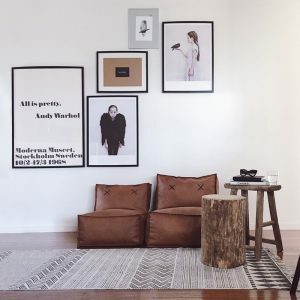 Due to the gorgeous nature and size of HomeDay products a shipping charge of $20 will apply for up to two ottomans. 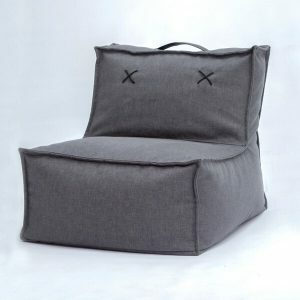 If ordering 3 or more ottoman's please contact us for a shipping quote. Shipping for International orders will be calculated at checkout. Once your order has been shipped by HomeDay you will receive an email advising of such along with tracking details. Due to the nature of HomeDay products being made to order, we do not accept cancellation of orders. Please choose carefully. Not just for the minis, HomeDay's new Midi Mod has the same design and high quality fabric, only BIGGER! Embracing the wonder of childhood, the Midi Mod by HomeDay supports free movement in a cheeky stylish design that fits comfortably into your home.Designed and made in Australia the Deluxe version is made from a high quality soft leather look-a-like fabric (polyester) that looks and feels like leather but is durable enough to withstand every day use. It features details that make it's design both functional and aesthetically pleasing, including exposed edging, crosses (X) on the back rest and a handle suitable for big and little hands.Filled with beans, the Midi Mod is light and easily moved around your home by both grown ups and minis. Please note that HomeDay products are a made to order. They are handmade with love and care in Australia and will be shipped within 2-3 weeks from order date. Due to the gorgeous nature and size of HomeDay products a shipping charge of $20 will apply for up to two chairs. If ordering 3 or more chairs please contact us for a shipping quote. Shipping for International orders will be calculated at checkout. Once your order has been shipped by HomeDay you will receive an email advising of such along with tracking details. Due to the nature of HomeDay products being made to order, we do not accept cancellation of orders. Please choose carefully. Embracing the wonder of childhood, the Midi Mod by HomeDay supports free movement in a cheeky stylish design that fits comfortably into your home. Designed and made in Australia the Deluxe version is made from a high quality soft leather look-a-like fabric (polyester) that looks and feels like leather but is durable enough to withstand every day use. It features details that make it's design both functional and aesthetically pleasing, including exposed edging, crosses (X) on the back rest and a handle suitable for big and little hands.Filled with beans, the Midi Mod is light and easily moved around your home by both grown ups and minis. Embracing the wonder of childhood, the Midi Mod by HomeDay supports free movement in a cheeky stylish design that fits comfortably into your home. 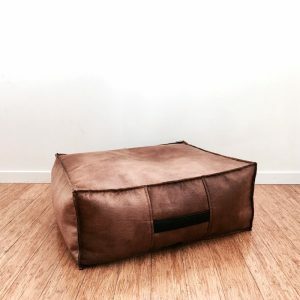 Designed and made in Australia the Deluxe version is made from a high quality soft leather look-a-like fabric (polyester) that looks and feels like leather but is durable enough to withstand every day use. 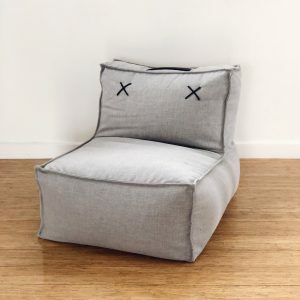 It features details that make it's design both functional and aesthetically pleasing, including exposed edging, crosses (X) on the back rest and a handle suitable for big and little hands. Filled with beans, the Midi Mod is light and easily moved around your home by both grown ups and minis.